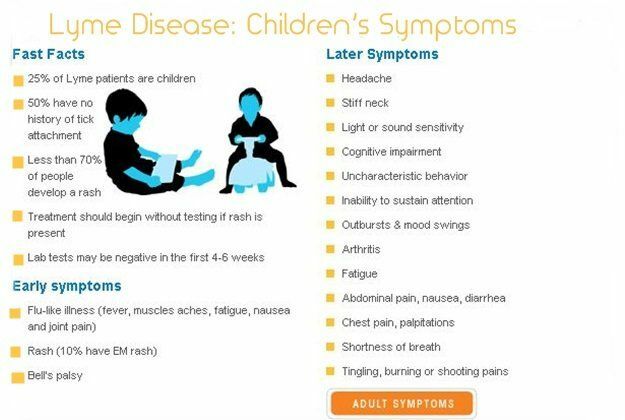 Lyme disease can potentially be misdiagnosed so it is important to be aware of the signs in order to reach the proper diagnosis. 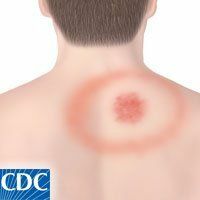 **There may be a “bull’s eye” rash, a flat or slightly raised red spot at the site of the tick bite. Often there is a clear area in the center. It can be quite large and expanding in size. This appears in most cases, but not all. 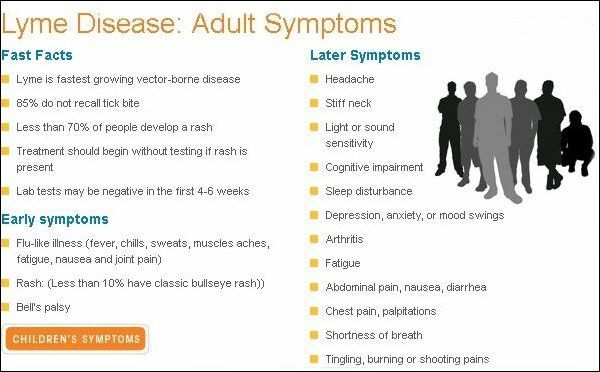 Lyme Disease Symptoms may come and go. if left untreated, Lyme disease can spread to the brain, heart, and joints. **See your doctor even if symptoms disappear!! It’s important to consult your doctor even if signs and symptoms disappear. The absence of symptoms does not mean the disease is gone. Ticks also can transmit other illnesses, such as babesiosis and Colorado tick fever which should be diagnosed and assessed by a healthcare professional. **Your doctor may want you to have a blood test to confirm that the rash is actually a Lyme rash. People with early Lyme disease do not develop the antibodies necessary for the diagnostic tests for several weeks, and, early testing can give false negative results because of this. Although all medical treatment has some risk, treatment with antibiotics is relatively safe. Waiting for test results gives the spirochetes additional time to invade your body. Your doctor should explain the risks so you can make an informed choice. Some people may get these general symptoms in addition to an EM rash, but in others, these general symptoms may be the only evidence of infection. Some people get a small bump or redness at the site of a tick bite that goes away in 1-2 days, like a mosquito bite. This is not a sign that you have Lyme disease. However, ticks can spread other organisms that may cause a different type of rash. For example, Southern Tick-associated Rash Illness (STARI) causes a rash with a very similar appearance. Many of these symptoms will resolve over a period of weeks to months, even without treatment2.However, lack of treatment can result in additional complications, described below. Approximately 60% of patients with untreated infection may begin to have intermittent bouts of arthritis, with severe joint pain and swelling. Large joints are most often affected, particularly the knees3. Arthritis caused by Lyme disease Symptoms manifests differently than other causes of arthritis and must be distinguished from arthralgias (pain, but not swelling, in joints). Up to 5% of untreated patients may develop chronic neurological complaints months to years after infection4. These include shooting pains, numbness or tingling in the hands or feet, and problems with short-term memory.